There is nothing quite like the unmistakable sound of an elegant trumpet fanfare. When the professional musicians of Fanfares d'Elegance herald the beginning of your special event, the effect is truly magic! 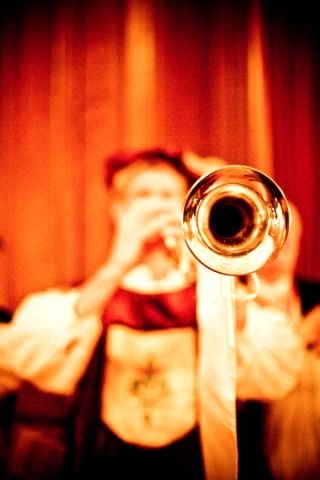 The internationally known Fanfares d'Elegance have been providing a full range of customized musical introductions, accents and highlights for a variety of special events at locations throughout the country and the world. We have heralded special events for royalty, heads-of-state, industry executives, weddings, conventions, red carpet events and at some of the world's most joyful and memorable events; many with historic interest. 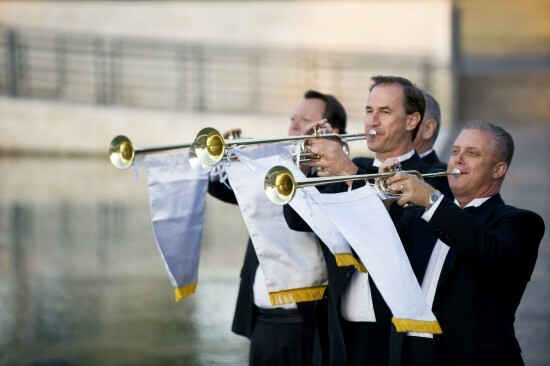 Our music creates a celebratory atmosphere when we begin your occasion with fanfares to announce the arrival of your guests or at a wedding when we herald the entrance of the bride or bridal couple, this may be a fanfare or trumpet voluntary accompanied with an organist or other ensemble. 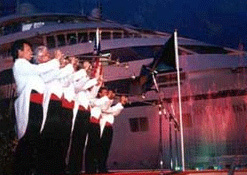 Another aspect of our service is the honor to perform "taps" for funerals. If this is your need it is our honor. "Your musicians were a delight to deal with and the trumpet fanfares were an impactful treat our guests will not forget." "As always, it is a pleasure to work with you and your fine musicians and I look forward to recommending your quality services to our clients." "I would strongly urge anyone considering your services to not think twice!" "It's a pleasure knowing we can rely on you and your musicians to perform flawlessly." "Thank you for being the highlight of our program. Obviously, you enjoy yourselves and it is reflected in your performance." "The trumpeters were fantastic... Their fanfares had fanfares. They were ornamented, detailed, intricate, extended, full of pomp and circumstance. Just what we wanted. I had members comment that they wanted to use them at home, whenever they entered the kitchen. We're very happy and look forward to using them again next year. - Jeff Lipsman, Conntable"
"Your rendition of Taps was moving and poignant and I received many comments about how wonderful it was. Thank you for that. It was a tough day but I am sure he would have been pleased with our efforts...perhaps he was." "Sincere thanks for your fine professional services of all the musicians who supported the premiere of our movie"
"It was a pleasure working with you again....you really added that extra touch for the event..."
"Your music and musicians were fabulous!"